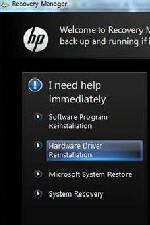 * If Windows doesn't load it is still possible to perform a hard drive or CD based recovery. 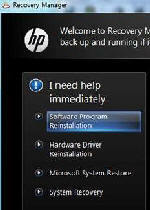 However not all function listed above may be available. 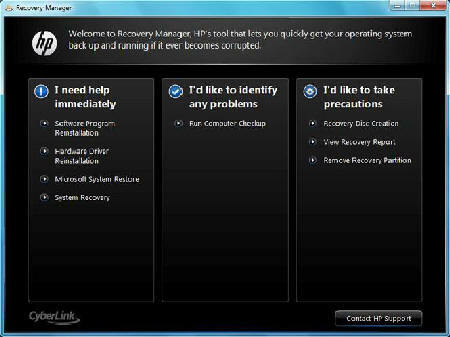 Recovery media creation can only be performed from lauching Recovery Manager when in Windows 7. 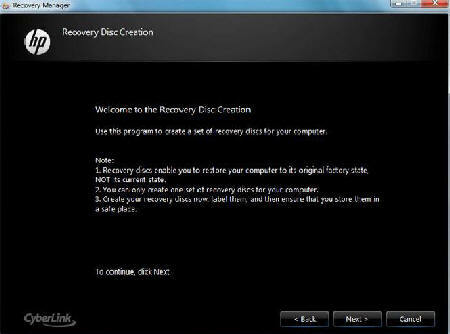 Recovery discs are used to startup the computer and recover the operating system and software to factory settings in case of system instability or failure. 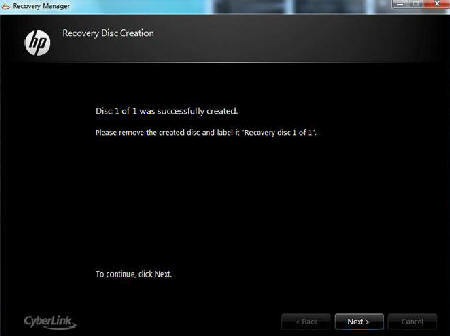 Only one set can be created so keep the recovery discs in a safe place. 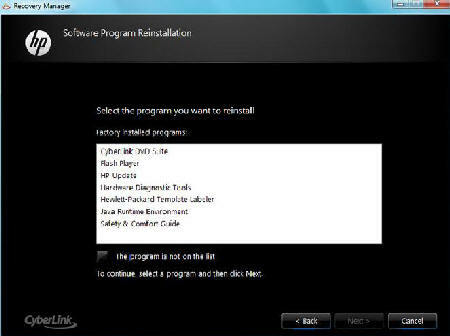 Note: It is recommended that you use good quality DVD-R, DVD+R media when creating your recovery media. 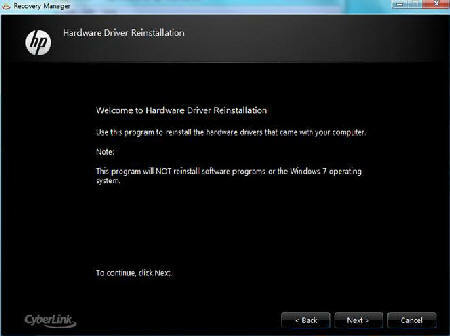 Read-write discs, such as DVD±RW are not compatable with Recovery Disc Creation. 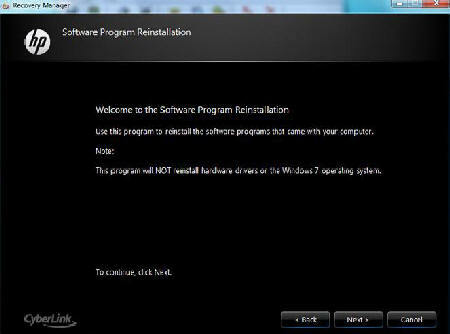 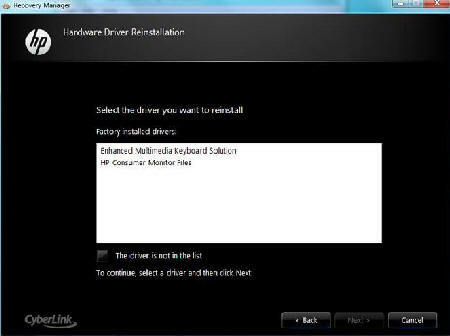 To re-install a hardware driver or software application choose the appropriate option from the Recovery Manager menu.